Birdies on the golf course are usually a good thing. Just not when that bird is a very angry goose. 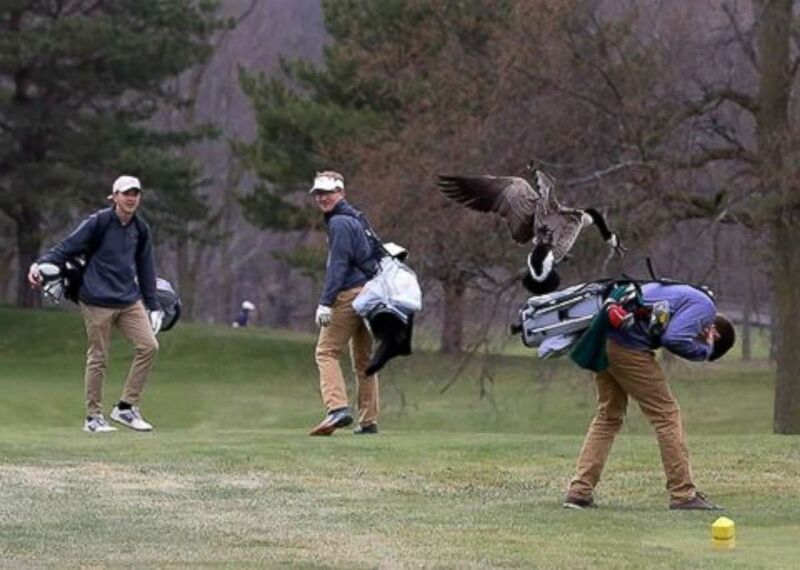 At a high school golf tournament last weekend in Adrian, Michigan, a high school foursome had teed off and was walking down a fairway where a goose was sitting on an egg in a nest off to the side. There was a sign warning them of the goose, and the golfers were respecting its space. But that's when an additional goose suddenly came up behind the golfers. 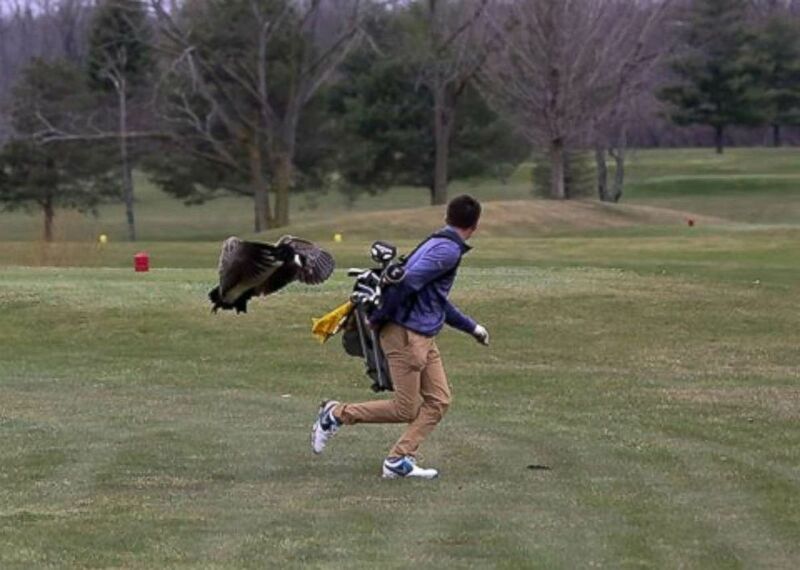 One unlucky golfer ran into an angry goose in a high school tournament in Adrian, Michigan, on Saturday, April 21, 2018. 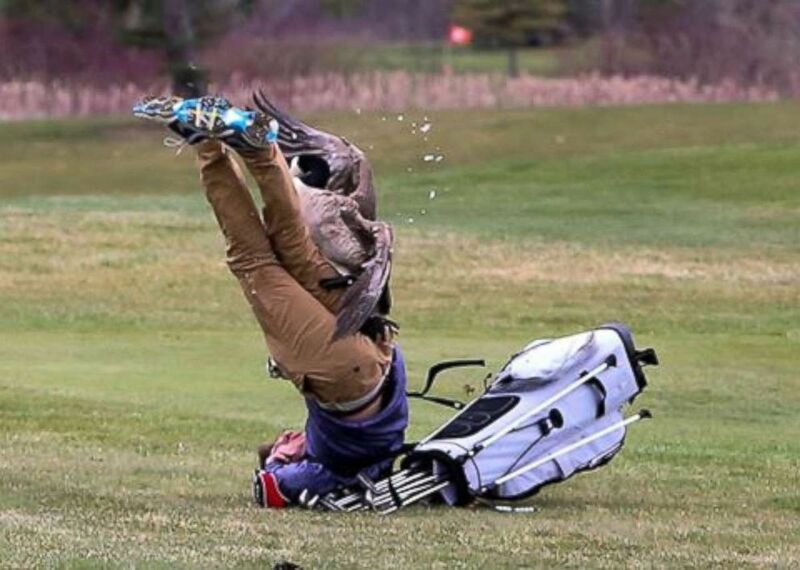 One unlucky golfer ran into a very angry goose on the golf course in Adrian, Michigan, on Saturday, April 21, 2018. 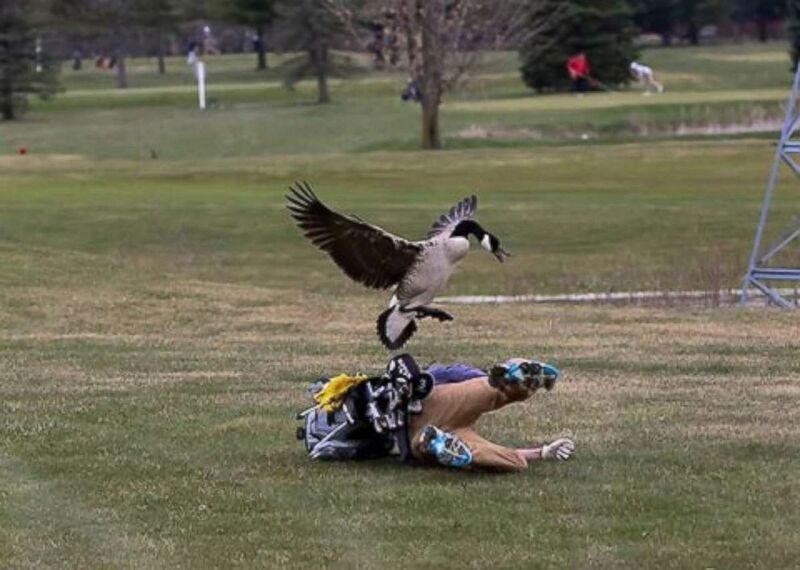 The goose attacked the foursome, with one particular golfer, in his purple pullover, coming under direct assault. Devon Gilson-Pitts, whose husband is an assistant coach for the Blissfield team that was competing in the event, says she drove in a golf cart with her husband to get between the golfer and the goose. She said it took four carts to keep the goose away and help retrieve the golfer’s clubs, which fell out during the attack. "At no point in my life I ever thought golf would be fun or exciting till yesterday," Gilson-Pitts wrote on Facebook. "We have a great group of kids on the golf team and had some excitement on the course yesterday." At least it wasn't an eagle.